Yesterday was my 37th birthday. I received many heartfelt birthday greetings on Facebook, via text, email, calls, and in person. I am very blessed with loving family and friends. Ever since my kids were born, my birthday hasn’t been a big deal. Part of it is that after all the energy and expense used on the kids’ birthday parties, there’s not much left for the adults’ birthdays. Part of it is that I feel like I shouldn’t call attention to myself. Part of it is that I don’t like being reminded that I’m getting older. But this year, for some reason I kept hearing this voice in my head: Celebrate yourself. My friend Jen sells Premier Jewelry and asked if I’d like to host a party in June. Since it’s my birthday month, she suggested we make it a Birthday Bling Bash. 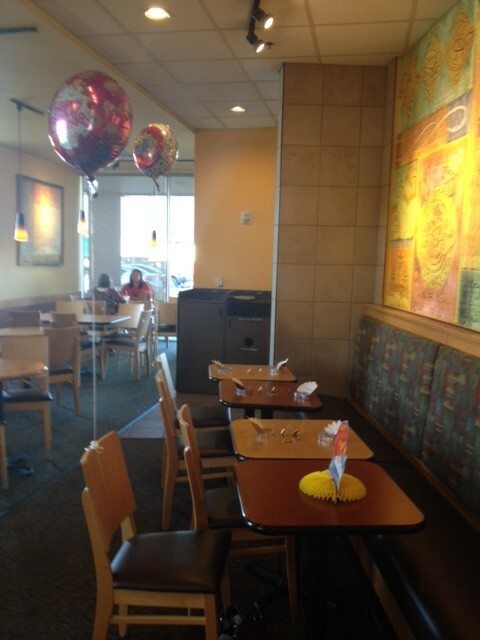 I agreed, and we decided to have the party at Panera since we are getting our house ready to sell right now. 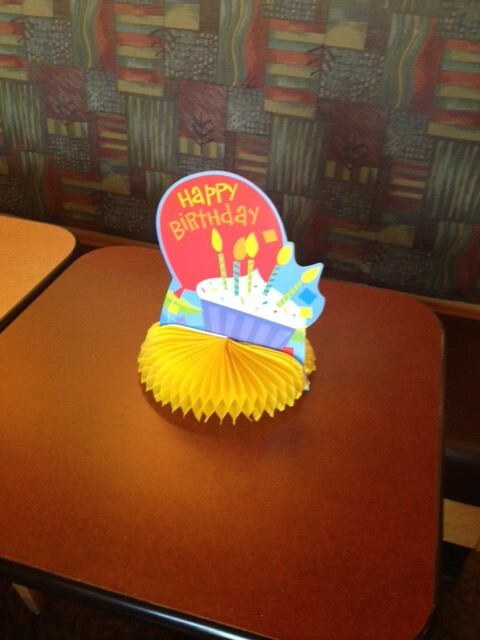 On the day of the party, I thought about getting a few little decorations just to make it feel more birthday-ish. I went back and forth in my head about it for a while, and then I decided: I was going to celebrate myself. We stopped by Dollar Tree on the way to the party to find some stuff (because I am ever the cheapskate). I picked up some super cheap and fun “bling” as well as birthday balloons. Here’s what our tables looked like. 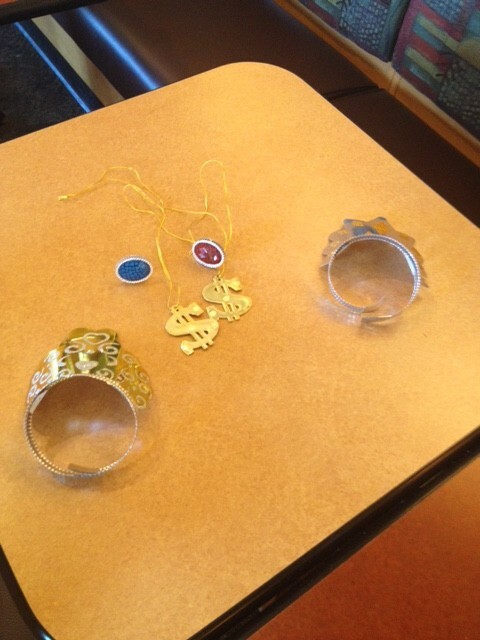 Guests had to wear tiaras and could pick out free “bling” (i.e., rings and dollar sign necklaces). We talked, laughed, ate, and picked out jewelry. We had a great time! The goof off toward the front is my daughter. Love her! When I got up yesterday I decided I wanted to wear a dress. 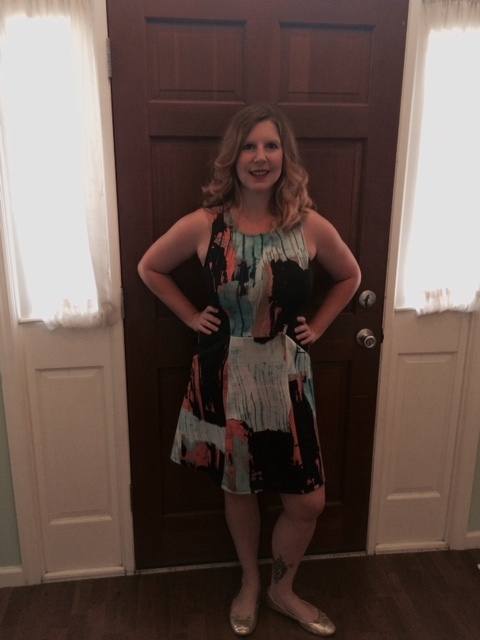 I love wearing dresses to work, but in the summer I’m usually in athletic or casual wear. But I decided that on my birthday I wanted to dress up a little, so I curled my hair, put on make-up, and wore a dress. I mean, why not? Celebrate yourself! Yesterday my dad called me first thing in the morning and I went to lunch with my mom, Steven, and the kids, followed by the movie Inside Out. I got home and vegged a little (season 4 of Scandal hit Netflix this month so I’m enjoying catching up!) and then I helped Steven put some mulch in the front yard. I am pretty terrible at outdoor work and he had to go back over most of the areas I worked on and smooth the mulch out better, but it felt good to be working on something together. It was a wonderful day. I am so thankful to all my friends and family members who made my birthday special and celebrated me, too. If you think you don’t need to celebrate yourself because you’re an adult, or because your kids should come first, or because whatever, think again! YOU are just as important as your kids, YOU matter, and YOU deserve to celebrate yourself every now and then! Poetry Chapbook Available for Pre-order and a Booklover’s Gift Pack Giveaway! 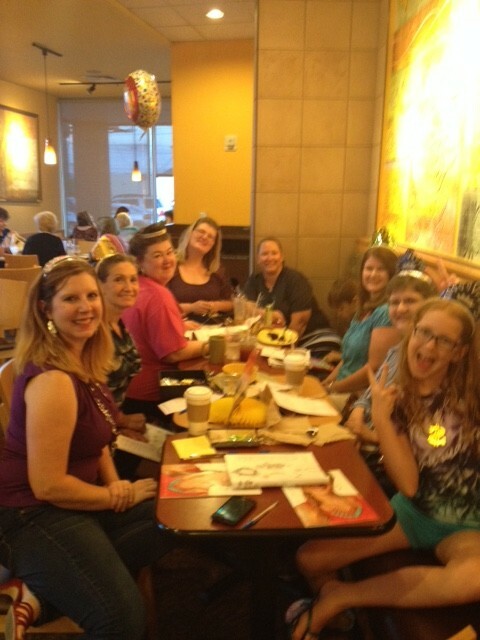 I had so much fun celebrating you with your friends! You are beautiful, inside and out, and I am glad you decided to celebrate yourself!! You are loved! So happy to hear about celebrating you on your birthday! Wishing you a great year to come.